SGX Nifty also known as Singapore Nifty is one of the most important opportunities for any foreigner who may wish to invest in the Indian market. This is mainly because it involves taking correct positions in the Singapore Exchange based on future contracts. These future contracts settlements are established under the Nifty settlement price of India’s stock exchange. Through this action, it becomes possible for foreign investors to place bets on the Indian Market without registering any entity with relevant authorities. In addition to this, investors can place their bets at any time since SGX allows 24 hour trading. 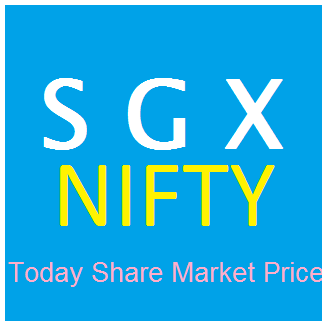 SGX Nifty has become very popular to investors especially those coming from other countries. One of the main reasons behind this popularity is the fact that it operates for longer hours i.e. 16 hours. With the longer trading hours, it comes possible to have changes on the index whenever there is news on global commodities like natural gas and crude oil. The popularity of SGX Nifty can also be linked to the importance that it brings to Indian investors. With the impact that economic and political reports have on this index, Indian investors are able to forecast Nifty’s on that same day. If SGX Nifty is on the positive during that particular day, then there is a high possibility of the Nifty index being higher during that day. This action is very similar to that of the Indian Nifty. However, the main difference is that SGX Nifty operates for longer hours than the Indian Nifty hence making it more volatile. It is for this reason that SGX Nifty can be used as an indicator for getting to know more about the Indian Nifty. SGX Nifty is basically Nifty’s future on the Singapore Trading Exchange. It is for this reason that investors are always considering the effect of SGX on the Indian market while the reverse is also true. How the SGX moves plays a very important role to the starting point of the Indian Stock Exchange. The impact that it has on the Indian Stock Exchange can be attributed to longer trading hours unlike that of the Indian Nifty. While the Indian Nifty trades for close to 6 hours (9:15 am- 3:30 p.m), the SGX Nifty trades for 16 hours as from 6:30 a.m- 11:30 p.m. These long hours therefore tend to bring a very big magnitude of economic changes and fluctuations within a short time. There are quite a number of important aspects that investors need to know especially when they are in need of future contracts. Below is an explanation of some factors that determine the derivative contract size of each SGX Nifty contract. There are two divisions of contracts which are available for trading under SGX Nifty i.e. Quarterly and Monthly contracts. The monthly contract is the main division that most investors are now using to carry out the trading. Foreign or local investors who decide to use Quarterly contracts will have to access it during the months of March, June, September and December. This is quite different when it comes to monthly contracts as they are available for 2 nearest serial months. It is for this reason that most of the volumes of trade rely on Monthly Contracts. With position limit, no person can get the opportunity to own or have control of more than 25000 contracts at one given time. This is regardless of whether they are net short or net long in all contracts months combined. Any attempt to have more than 25000 contracts will be thwarted down once you try it. The minimum price fluctuation of the future contract is usually $1 which is the same as 0.5 index price movements. One of the most important factors that determine the derivative contract size of each SGX Nifty contract is the settlement basis. There are two types of settlement i.e. Cash settlement and Final settlement price. Final settlement price is usually the official closing of s S&P CNX Nifty Index. For accuracy, the final settlement price is rounded off to the nearest decimal place. To derive the official price, one will have to look at the average weighted price of each individual component of the index. This mainly takes place during the last 30 minutes of trading. It is for this reason that investors need to be very keen when the trade is closing down. The last Thursday of the expiring contract month is taken as the last trading day. If there is an Indian holiday during this day, then the preceding business day will be taken as the last trading day. The margin that is present in SGX products is very low when you compare them to those in NSE. India and Singapore are both in the same continent hence making it easy to use SGX Nifty. SGX Nifty is an important tool that allows foreigners to invest in the Indian Market. SGC Nifty trades for longer hours from Monday to Friday. With SGX Nifty, foreign investors no longer have to worry about having investments in the Indian Market. This is mainly because SGX Nifty is designed to meet the needs of every investor whether local or foreign. In addition to this, you get the chance of getting high returns from your investments as long as you make the correct decision. You will also not worry about time since SGX Nifty is operational for close to 16 hours in a day. This gives investors time to examine any changes that take place during trading. With this information, investors are able to make informed decisions without having to worry about anything.